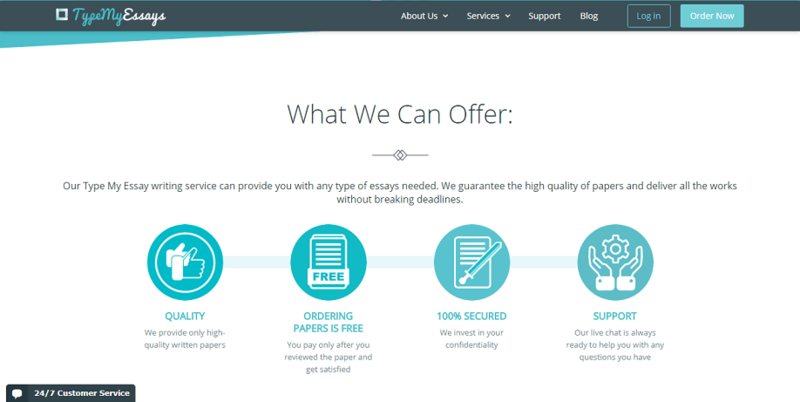 When you’re in the process of choosing the right custom essay writing service for you, not only are you looking for a service that delivers quality, but also one that can deliver within a lightning fast deadline, so you’re not waiting around for it. This is what you should expect from businesses nowadays, especially in online content writing. 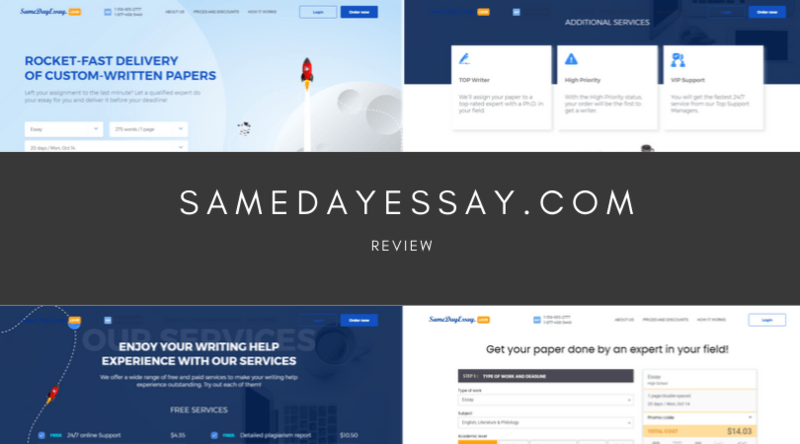 One of the services that claim to provide such a service is Same Day Essay, but is this the legit and reliable service you’ve been looking for? 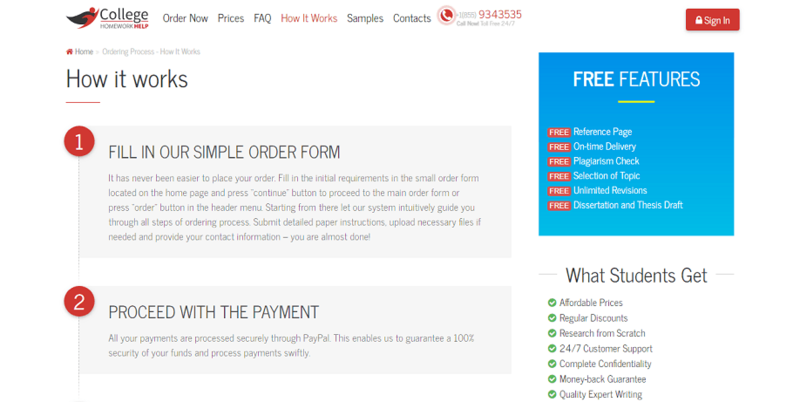 Using the drop-down menu on the order form of the homepage, you can quickly see the services that SameDayEssay.com has to offer. This collection includes a broad range of paper types which includes anything from essays and book reports to dissertations and speeches. It seems that there is also a range of editing and proofreading services available. While this is a substantial amount of service, I did notice a few key assignment types missing, meaning you may have to go elsewhere. The price is worked out based on the type of paper you want, the academic level it needs to be written to, the deadline and then how many pages you want. Of course, as the title of this website suggests, you’re probably going to want your paper within 24 hours. 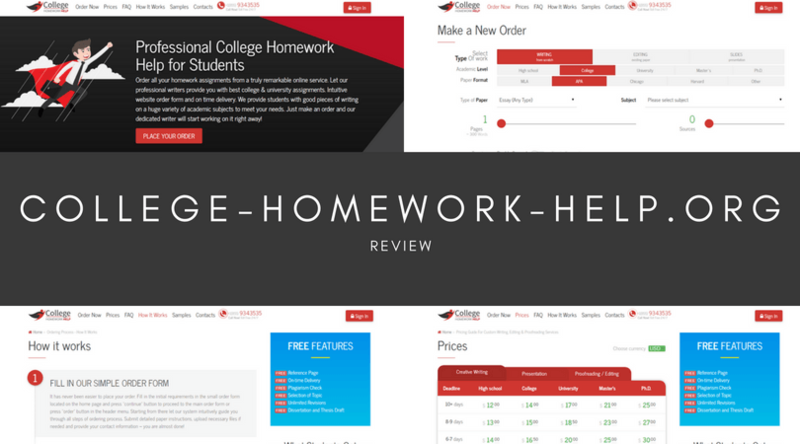 To give you a rough guide to pricing, a ten-page essay that’s written to a College level with a 24-hour turnaround time is going to set you back just under $300. This is an extortionate amount of money, and completely unsuitable for the majority of students. 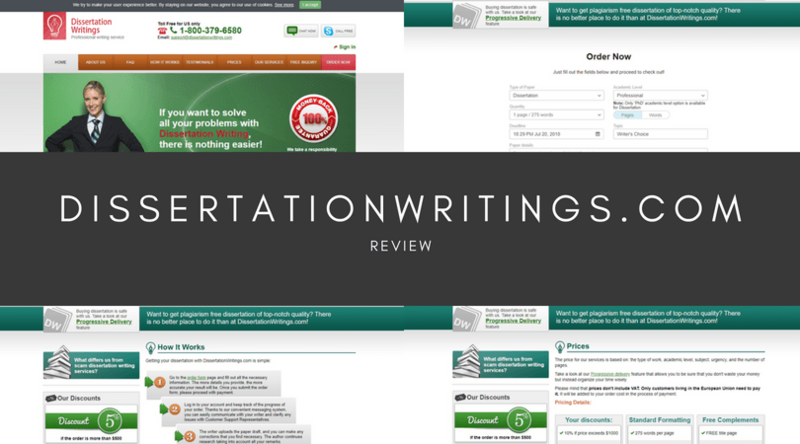 There are several reviews posted on the website, as well as several writer case studies so you can get to know some of the people who could be writing your assignment. However, none of these reviews give any clear information on what the quality is like. There’s not even a sample page. Searching online, the results weren’t much better. In fact, the majority of reviews are negative. Scoring an average of 2/5, review sites described poor grammar typical with foreign writers and poor sentence structure. When it comes to getting in contact with the service, whether you’re asking for assistance on your order or requesting a refund, it’s important to know the customer service team is there when you need them. Unfortunately, your options here are limited. There’s a single email address for no dedicated department, two toll-free phone numbers, and a live chat option. However, this isn’t a 24-hour service, and there’s no way to tell how long the staff are going to take to get back to your query. All in all, SameDayEssay leaves a lot to be desired. While the fast turnaround times are admirable, especially with three same-day delivery options, the quality of the content is too inconsistent, and the price they are charging, using a website like this is sometimes not worth the risk. As a student, you may be finding it difficult to finish off all the work you’ve been set. More and more students are finding harder and harder to keep up with their mounting workloads, which only causes stress, anxiety and ultimately a lower quality of work. However, services like Writing Essay East have been designed to alleviate your workloads so you can focus on the more important things in your life, whether that’s related to work or not. However, when choosing a service, you’ll want to make sure you’re choosing the right service that’s not going to rip you off. Today, we’re going to dive into the ins and outs WritingEssayEast.com, helping you to make the decision when it comes to choosing the right legal service for you. It’s initially disappointing to see that there’s no dedicated services page anywhere on the website, but you can see what’s available by using the order form on the home page. This details a large range of services, which you should be able to find what you’re looking for. However, looking at this list in detail, there seems to be a lot of fluff entries, such as repeated content, or services that are just titled using different words. In total, there are probably around 40 services, which should have you covered. You can either use the order form listed above, or the dedicated pricing page to figure out how much your required service is going to cost. Bear in mind that editorial reports, sources list, and plagiarism reports will all cost extra. 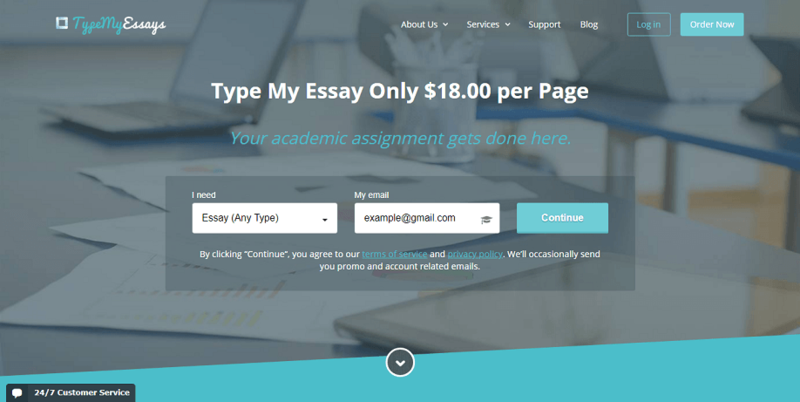 To give you an idea on what the prices are like a professional level essay that’s ten-pages long with a week-long deadline will set you back around $240. This isn’t bad, and there are even a few discount codes and promotional deals to get you some money off. There’s also no need to log in or sign up for an account if you want a quote, but you will need to hand over your details when placing an order. While there are several guarantees listed on the website, there is no dedicated reviews or testimonials page, so you can judge the quality of the content. There are also no samples, so you can examine the quality yourself. Even searching online doesn’t seem to provide many opportunities for reviewed content, which leads me to believe the website is rarely used, and you’ll ultimately be investing in the service at your own risk. If you’ll looking to ask a question before you make a purchase, or you’re purchased, need a refund, or you require assistance on your order, you’ll need to get in touch with the service easily. This can be achieved by using the ‘Get in Touch’ page. Here, you’ll find a basic email form to fill out, and that’s it. There’s no email addresses, no live chat, no phone numbers and not even a physical address. This leads me to believe the website is illegitimate, and definitely not very popular. All in all, I was left rather disappointed in the service that WritingEssayEast provides. The service seems to be overcompensating itself with services but isn’t regularly used and doesn’t provide a comprehensive service as you would expect. There are better websites out there. There are so many custom essay writing services out there that it can be hard to differentiate the differences between them. Some offer certain services, some offer various delivery times, while some offer a range of different add-ons and extras for free or a discounted price. However, one of the most important features you’ll want to be thinking about is how much you’re paying for your essays. As a student, the chances are that you don’t have a lot of money to invest in your services, so you’ll be looking for a company that provides quality for a good price. 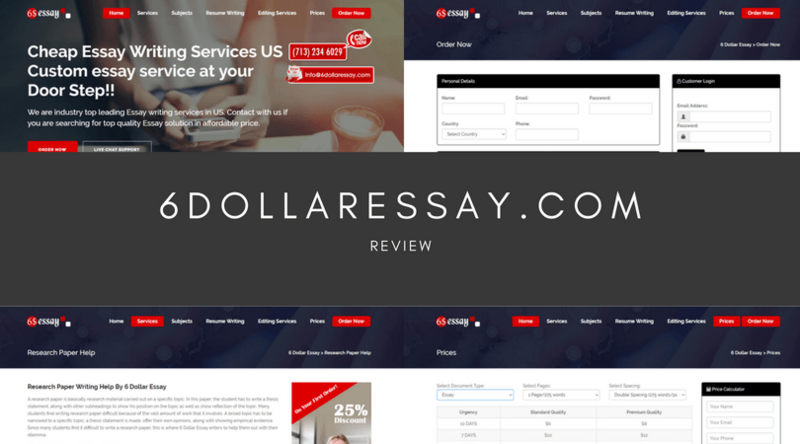 Introducing 6 Dollar Essay. It claims to be an affordable service to help you get your work done. But, is this the service you’ve been looking for, or is it going to a con? Referring to the dedicated services page simply takes you back to the homepage, so you’ll need to use the Order Form to see whether the work you require is on offer. Upon a quick class, it seems as though the site offers around 30+ services in total. This ranges from your typical services like essays and dissertations, all the way through to PowerPoint Presentations and personal statements. While most of the basics are covered, it’s worth noting that some services are offering 50+ services, so you may need to visit these in some situations. I was surprised to see that there is a dedicated pricing page here where you’ll find a comprehensive pricing calculator to work out the price of your content. 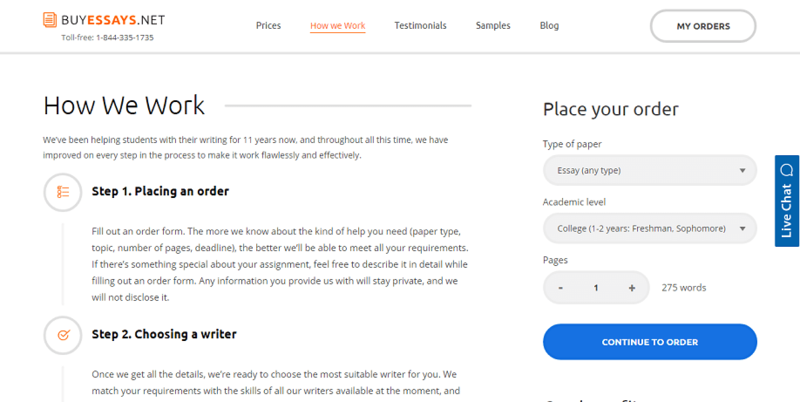 To give you an idea on what the prices are like; A premium-quality, single-spaced essay that’s ten pages long with a deadline of 5-days will set you back around $320. While this one of the more affordable services out there, this price doesn’t include any extras or add-ons in addition to your document and leads me to doubt the quality of the work. After searching throughout the website, I found a selection of reviews of the homepage that judges the quality of the work but doesn’t really provide much information whatsoever. There’s no rating system, and most importantly, there are no dates. This means the reviews posted here could be years out of date, and now no longer relevant to the quality of the service provided. Searching online, there are next to no reviews on the service, which leads me to doubt whether this is a legit website, and just not used by anybody. If you do decide to use 6DollarEssay.com, or you want to ask a question before you buy, you’ll want to get in contact with the website. However, these contact methods seem limited at best. In the footer of the website, you’ll find a single email address, a US toll-free phone number and there are some limited hours a week live chat service. These are the only contact methods available; there’s no telling how quickly the service will, which is not ideal if you require urgent assistance. While 6DollarEssay may seem like a trustworthy site, but it’s obvious that there’s room for improvements. 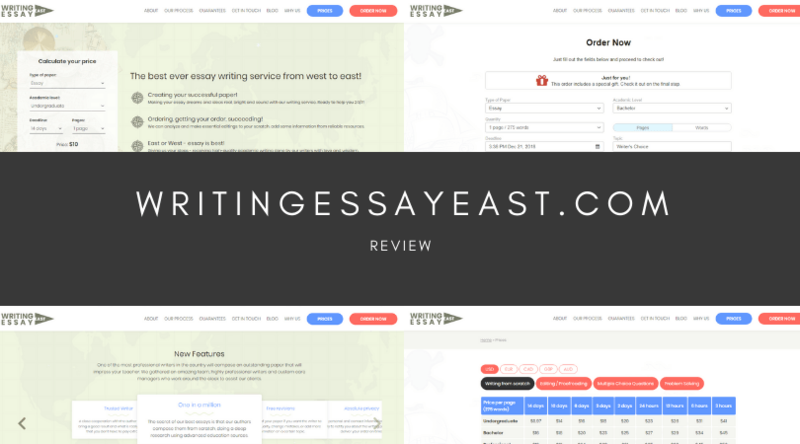 With proof that the quality is good (or even just acceptable) and better methods for contacting the service, this could be a usual custom essay writing service, one of many. As a student, you don’t need me to tell you just how hard it can be to stay on top of your workloads. Whether you’re in high school, college, or university, the increasing pile of assignments and essays can soon become overwhelming, and it’s hard to know what to do. This is why services like College Homework Help exist. 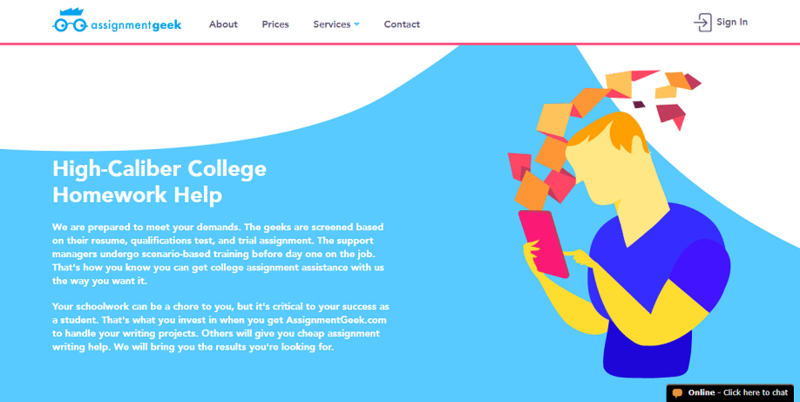 These services are designed to help you tackle your workloads, get the grades you deserve and meet your deadlines, all for an affordable price. 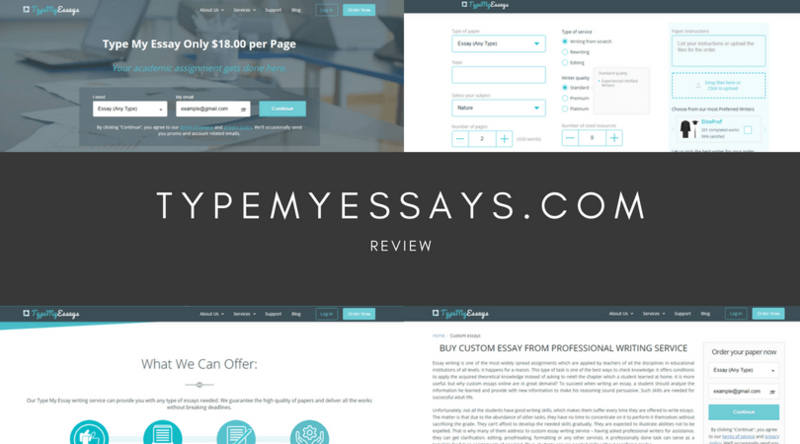 However, with so many custom essay writing services to choose from, let’s see whether it’s legit and safe or if it’s a scam waiting to get you. While there is no services page on the website, there is an order form on the homepage which you can use to see whether the service you require is available. However, this list only displays three types of service; writing, editing, and presentations. While this could represent a broad range of available tasks, many of the leading writing services will list the services they offer, so you can be clear with whether your particular task can be carried out. This selection is too limited, and the potential is too high that your service is unavailable. 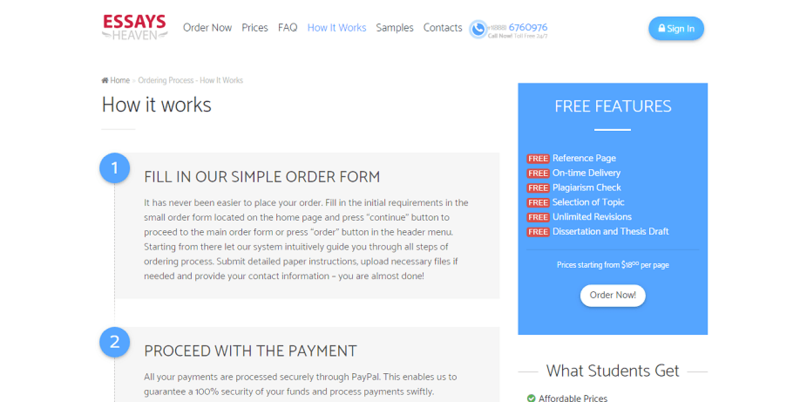 There is a dedicated pricing page that can be found on the menu of the website; you can use the same order form to figure out what kind of price your work is going to be. The price is worked out based on the type of work, the academic level of the world, how many pages you need, and the deadline required. For a rough idea on prices, a ten-page writing task of a Master’s level with a 5-day deadline will set you back an expensive $280. This is very expensive for a student on a tight budget, and there doesn’t seem to be any discounts, promotions or codes available to reduce this price, even as a first-time buyer. Unfortunately, there is no testimonials or review page to be found anywhere on the website, which makes it hard to judge the quality of the work that’s produced. However, there is a samples page which you can read through to judge the quality of the content yourself. Nevertheless, upon reading some of these samples, I found the content to be basic and home to a lot of filler content and fluff. The English is basic at best, and possibly not written by a native English writer. While the content is not terrible, it’s not what you’d expect from a paid service. There are a couple of ways you can get in contact with the support desk if you need help, want to ask a question, or require a refund. On the contact page, you’ll find an email form you can fill out with your request, a live chat that operates during set hours of the day, a US phone number and an email address. However, there’s no social media links, no Skype details, and no dedicated pre and post-sales support. There’s also no indication into how long it will take to get a reply, meaning you may be left in the dark during busy times. In some cases, you may need to sign up for an account and log in before accessing some of the contact methods, especially if you want to get in contact with your writer directly. All in all, College-Homework-Help leaves a lot to be desired. 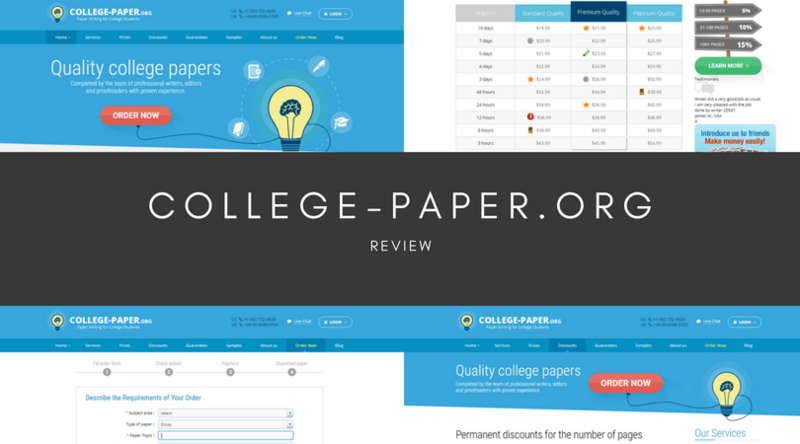 With high prices, inconsistent and variable content quality and an only just-acceptable collection of contact methods, students may want to use this site at their own risk. When you’re a student, life can sometimes get a little overwhelming. Students around the world are being set more and more coursework, assignments and homework than ever before, and in most cases, there’s simply not enough hours in the day; especially if you want to be healthy and have a social life. 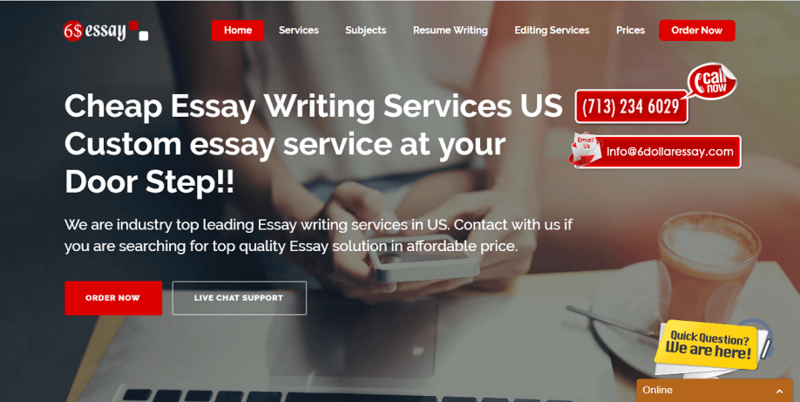 This is why thousands of you are turning to custom essay writing services; and if you’ve already started searching for one, you may have come across Buy Essays. While this looks like a professional site, you should never judge a book by its cover. 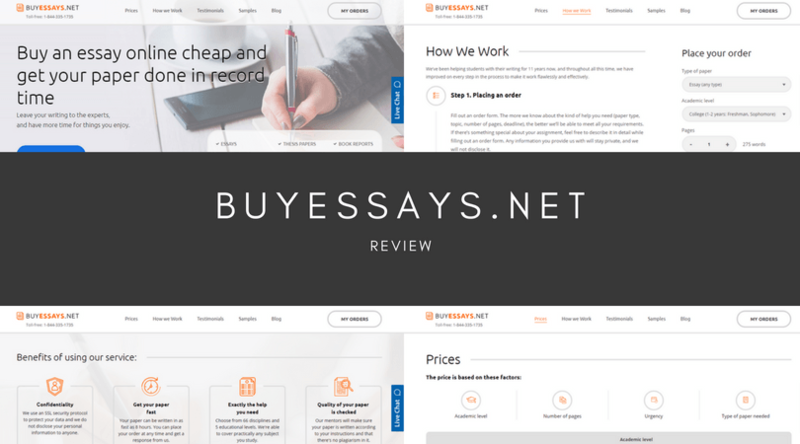 Today, we’re going to explore BuyEssays in depth, helping you to decide whether it’s the legit, safe writing service you’ve been looking for, or whether it’s an online scam out to get you. While there’s no dedicated services page on the website, so you can easily see whether the service you’re looking for is available, you can use the order form on the homepage. On the drop-down menu, you’ll find around 30+ services, many of which cover your basic assignment types. From standard essays and PowerPoint presentations to term papers and dissertations, BuyEssays.net seems to have it all. While most students will find what they’re looking for, it’s worth noting that many leading services will offer more than 50+. Using the pricing page, you can use the table to figure out an accurate quote for the work you need completing; as well as the price calculator found throughout the site. To give you a rough idea on prices, a 10-page essay written to a Master’s level will cost you $240 with a seven-day deadline. While this isn’t the most expensive service I’ve seen, it isn’t the most affordable, and there doesn’t seem to be any promotional discounts or codes on the site to bring this price down, even for first-time buyers. There are two ways to judge the quality of the content that the service produces. The first, you can check out the testimonials page, but some of these reviews are a little old and don’t really describe how the service was. The second way is using the Samples page for an example of what you can expect. However, upon reading some of these samples, the content seems bland at best. There is a tonne of fluff and filler content throughout the content, the English aren’t perfect, and the information is unsourced and poorly described. Of course, the customer service options available to you are vital for having the best experience, especially if you want to ask a question, make an edit to your order, or request a refund. On the contact page, you’ll find a single email address, a toll-free phone number of US and Canada and a live chat feature that operates during set hours of the day. However, as far as customer service goes, this isn’t ideal for a busy company. There’s no pre or post-sales email address, no social media accounts or Skype links. This might make it difficult to get in contact, which might leave you in the dark if you need urgent assistance. All in all, there’s definitely room for improvement. With lower prices, more consistent quality and a wider range of customer service options, this could be a good service. However, there are other options out there. It doesn’t matter whether you’re in high school, college or university, you’re going to be assigned work that you need to complete. This could in any form, from essays to term papers, and it’s not uncommon to get lots of it. 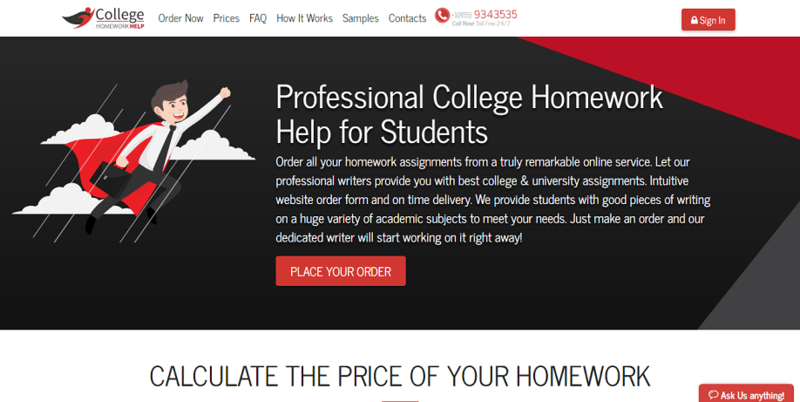 This why students flock to custom essay writing services like Assignment Geek. However, there are many of these services out there, which is why you’ll want to make sure that you’re choosing the right one for you. Let’s dive in and see whether this is it, and whether it’s even legal! While there is a Services tab at the top of the page, this only brings down a list of subjects that can be completed. This in itself is a positive thing, it doesn’t say what formats can be completed, which leads me to believe it’s just Assignments (essays). 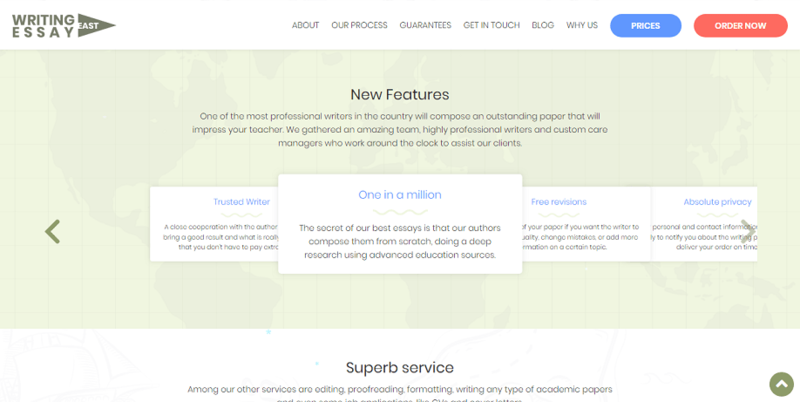 Compare this with other leading essay writing services that offer more than 50+ services, as well as editing and proofreading services, and this selection can feel completely limiting. Making your way over the pricing page, you’ll see that you can start placing your order at the solid, and rather above-average price of $15.79, however, this is a discount promotional price down from the original $17.55. There’s also a 10% off promotion discount code for first-time buyers, but for an accurate quote, you’ll need to input your personal details first. I really dislike these ways of working because there’s no guarantee their price isn’t going to be extortionate, but then they already have your personal details. There doesn’t seem to be any reviews or testimonial pages on the website, although there is a couple of really basic reviews on the homepage. However, these reviews don’t seem legit in the slightest since they contain no real information and no dates on them. This means they could be years old and no longer relevant to the way the site performs. Searching online, there seemed to be mixed results from past customers or writers, which leaves me to say that the content is inconsistent at best, which is not ideal for a paid deal. If you need to get in touch with the service, perhaps asking a question or requesting a refund, you’ll need to be able to get in touch. However, checking out the contact page only awards you with a US phone number, a live chat service, three email addresses and an email form. While this is an ideal number of methods, possibly ensuring that you should be able to get in touch, there’s no indication as to how long they usually take, which means it could, in theory, be weeks. To summarize, AssignmentGeek definitely has some room for improvements. With a change to the paying system, more detail on their website about the services and support they offer, more consistently high-quality work and maybe even some samples, only then could this service be recommendable. 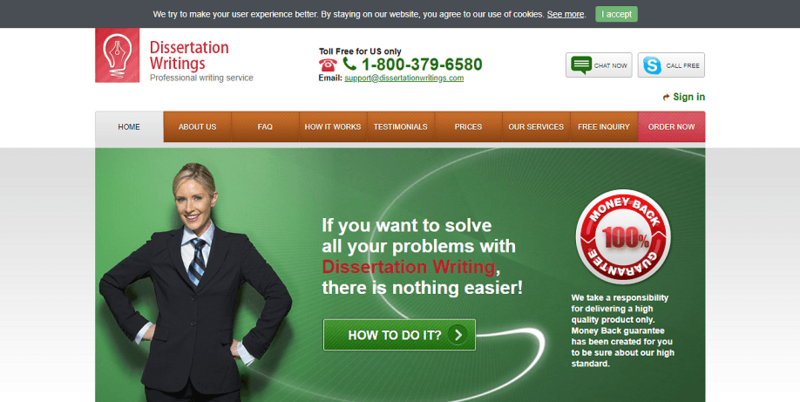 If you’re a student looking for help with their dissertation, you may have come across Dissertation Writings. It doesn’t matter what reason you need help for, whether you’re struggling with the content, running out of time, or simply need to focus your attention elsewhere, sites like this are here to help. However, before you go spending your money on a service, you’ll want to make sure it’s right for you. Today we’re going to explore the ins and outs of the service, so you can see whether this is the legit service that will deliver the content you’re looking for, or whether it’s a scam. 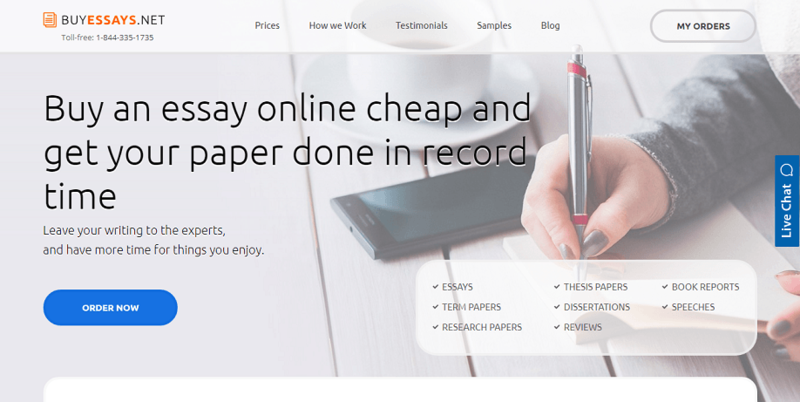 Of course, as the title suggests, this is a custom essay writing service that specializes in dissertation writing, which happens to be the main service that it offers. However, this seems to be the only service that’s on offer. 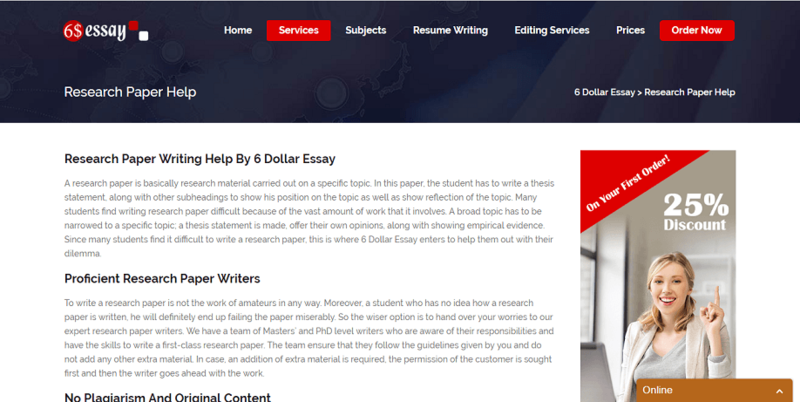 Other custom essay writing service is usually more versatile and will not only offer essay and all kinds of writing services, but also editing, proofreading, and sometimes even business writing tasks, meaning this service feels very limited. While there’s a pricing page on the website, there’s no pricing table or quote calculator to figure out how much your work is going to cost. In fact, the only way to find out is to make your way through the order process to see how you need to pay. Bear in mind there are several deals and discount promotion codes up to a range of 10% off your order if you can find the codes. You will need to sign up and login into an account for this to work and be applied. To give you a rough idea on pricing, a 4,000-word dissertation with a week-long deadline and written to a Professional level is going to set you back an extortionate $630, which is not suitable for a student on a tight budget. Heading over to the testimonials, you would expect shining reviews for such a pricey service; which is exactly what you’ll find. However, none of these reviews have a rating system, nor do they have a date, meaning they could be years out of date and no longer reflect the service that’s on offer. This leads me to seriously doubt the quality of the content the website is producing. There is also no samples page to read through, which is another tell-tale sign of poor quality content. When it comes to the customer service you can expect from the website, there are several options available to you if perhaps you want to request a refund, or ask a question. These include a live chat system which operates during set hours, a Skype call button, a toll-free US phone number and a single email address. While this may seem like a broad collection of contact methods, if you consider how many customers could be using the site and there are no dedicated lines for each problem (pre/post sales), you’re probably going to be waiting for some time. All in all, DissertationWritings leaves a lot to be desired. 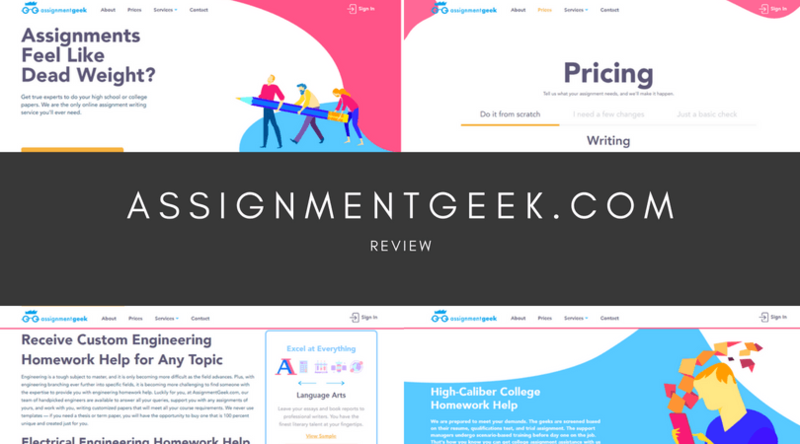 While the basic service definitely exists and can probably cater for a basic level of content, it really doesn’t seem like the site puts effort into showcasing that it’s one of the best, despite the high price tag which will perhaps leave many students out of pocket. 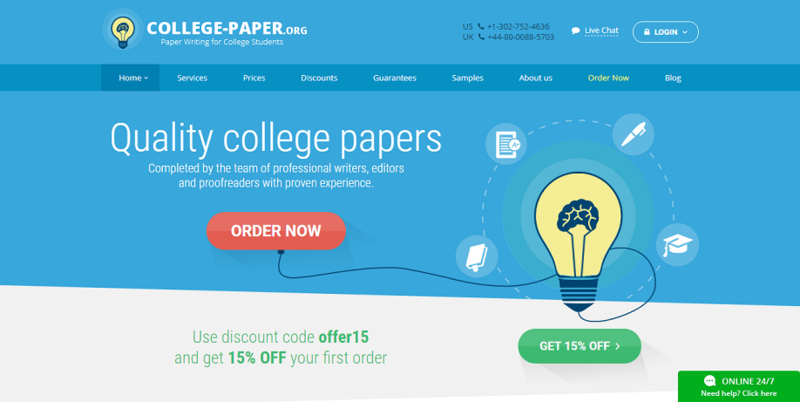 This is the website of the College-Paper companies, selling made to order essays at low prices. But is this too good to be true? The last thing you want is to fall for an illegal scam. So in this review we present the pros and cons of this site, to see if it’s safe, legit, and legal before you sign up and create an account. The website is a pretty good balance of simplicity and a style that is not too childish or patronizing. But when you’re actually in, it can be a bit hard to navigate and find all the functions you need to place and monitor your order. If you get easily stressed with technology, new site formats, etc, then this could be a bit too unfamiliar to you, however friendly the front page seems. If you’re looking for a promotion offer, they have a 15% off discount code for first orders, which seems like a pretty good idea, except that basically means that is probably their standard rate. Most people may not be coming back, so this “discount” could well be a farce to convince you to spend. Their refund policy is pretty good, but don’t expect prompt refunds. Like all companies, they would rather hold onto your money and try and fix the problem, so if you need cash to buy another essay, you might be waiting a while. Although they promise professional writers “with MA and PhD degrees”, nowhere do they claim that all their writers have these qualifications, which is a pretty important difference! However unique, free of plagiarism, and custom the essays are, if they are not handled by an expert they will be full of inaccuracies, and if they are not written by a native speaker of English there will be spelling mistakes and grammatical errors. If you need a hassle free way to contact support, their number is at the top of their page, and they also offer live chat. Annoyingly, we could not find a physical address or a direct email for them. Plus, you can’t communicate directly with your writers, which is not the most trust-inspiring of set-ups, especially when you consider that the quality of their writers is already not very clear. All in all, this site is pretty easy to navigate once you login / sign in, and they have some good deals, price-wise. But when you are not getting the quality writers you expect, then you might end up having to rewrite the essay anyway. Which sort of defeats the point of using a site like this. This is the Type My Essays writing service, which, on its front page, promises native speaking writers, one day delivery, and $18 per page. Considering the sort of deal available elsewhere, this looks too good to be true. But it it illegal? A scam? Or a legit, safe website? In this review we explore to find out. When you first sign up the website can seem a bit overwhelming and demand a lot of info, but at least it is fairly intuitive. You sign up, offer a load of really personal info (which they guarantee is secure but in this day and age we can’t even trust social media, so be wary), say what you want and choose a writer who can do the job you want. The prices promised on the front page don’t actually carry over to the main orders. The cost can spike pretty quickly, and you’re not getting one day delivery on a PhD paper at $18 per page! There aren’t any discounts we can see either. That said, if you want a refund their policy doesn’t seem too bad. They don’t ask you to pay unless you’re satisfied with the paper, which is great and encourages writers to work hard and fast to make sure you’re happy. This is another one of those websites that does “global” site ratings that don’t actually correspond to anything in the real world. This really isn’t reassuring, especially when the highest rated sellers only have around a hundred completed works and profiles that look a bit catfishy. This doesn’t inspire confidence. Plagiarism isn’t just a great way to fail a subject, it isn’t even legal, so it’s important to look for services with free plagiarism reports and guarantees. As far as we can see they don’t actually offer a plagiarism report, but they do guarantee originality, which is perfect. If you are looking to contact support, the TypeMyEssays phone number is impossible to find. 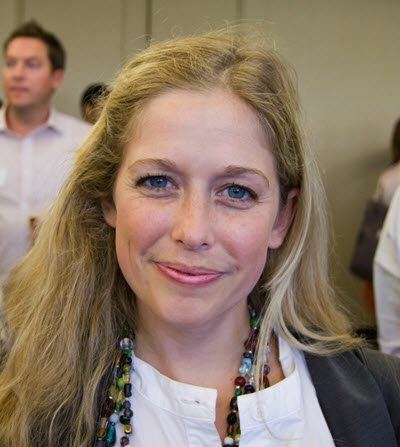 The best you get is live chat, which isn’t really what most of us want. But once you’ve placed an order, the best support will actually be directly from your writer. You can supervise your project throughout the process, add suggestions, raise your concerns, and communicate with your writer as long as they’re online. This really offers peace of mind! Overall, this service isn’t too bad. Placing an order is fairly simple, even if the login / sign in and account management process is harder. That said, the prices are a bit of a shock, considering the early promises, and even with a good promotion code, it’s a bit shady. 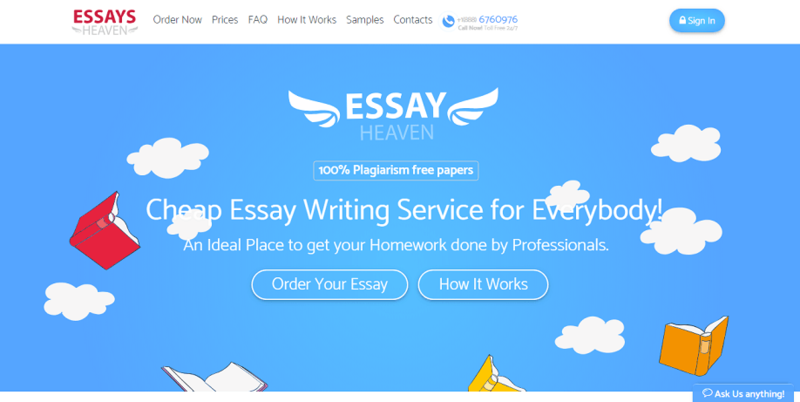 This is the website of Essays Heaven, a company that promises entirely original papers, a safe delivery of your order and account details, experienced writers, and a full refund guarantee. But do they provide all that they promise? Is this a legal, legit website? Or is it an illegal scam? In this review we will see what the company offers. When you first login / sign in, the website looks a bit childish. The layout, colors, and the little wings all seem like a bit too much, and the big, bold font seems more for younger readers than adults. But at least the website is professionally edited and easy to navigate, both of which are bigger problems than an overly simple design. It isn’t great to look at, but you don’t need to spend all week getting used to it. Nothing good in life is free, but nothing good in life is particularly cheap either. Which makes this site a bit suspicious. Their prices are pretty low, and “cheap” appears all across their website, in every header and paragraph. Emphasis on price over quality can be worrying. If you need a refund, they offer refunds when work is not original or not delivered on time, no questions asked. But when it comes to essay quality, this can be a bit harder to argue. Their team will review your order and see if your complaints are valid. Not only does this mean you might not get your money back, but it could waste valuable time when you need the money to order another essay. A cheap service is never going to be as high quality as a more expensive, or even a moderately priced one. This site is pretty cheap for what it offers, but at least not the cheapest, and they promise native speakers and experts. 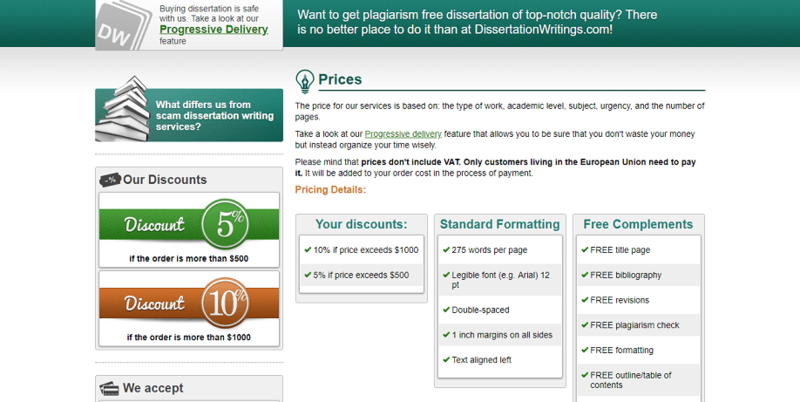 That said, they offer a plagiarism report, and you can even get services to help you get creative and write your essay on your own. This is a nice, wide range of services, even if the quality isn’t assured. If you need to contact support, there are a few ways of getting to them. They have an “ask us” message box on their site. Their number and email are available on their website, as is a post address and a contact form. 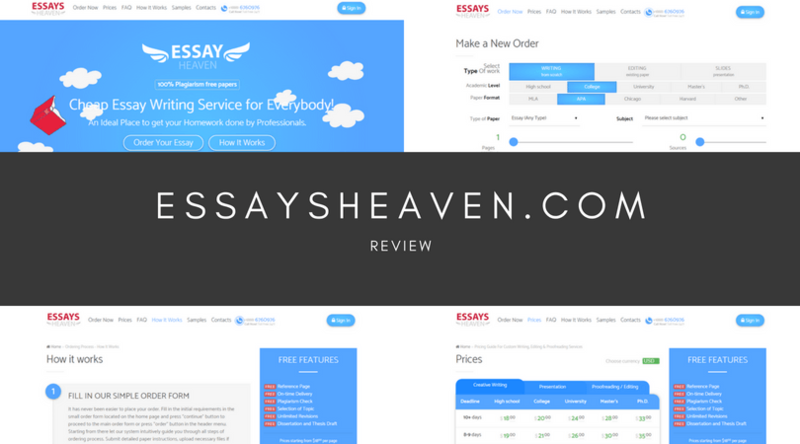 Although EssaysHeaven is genuine, it’s not exactly a great deal worth the sign up. On the plus side, it is a fairly inexpensive service. 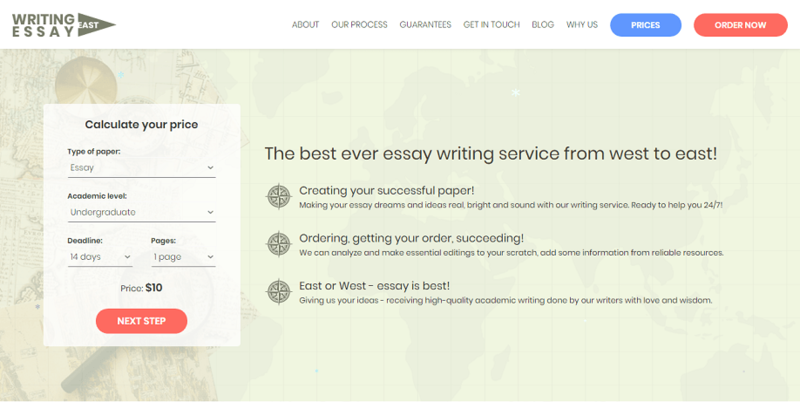 But that isn’t everything to a good essay writing service. The services may be cheap, but all the discount and promotion codes in the world can’t make up for a lack of quality.